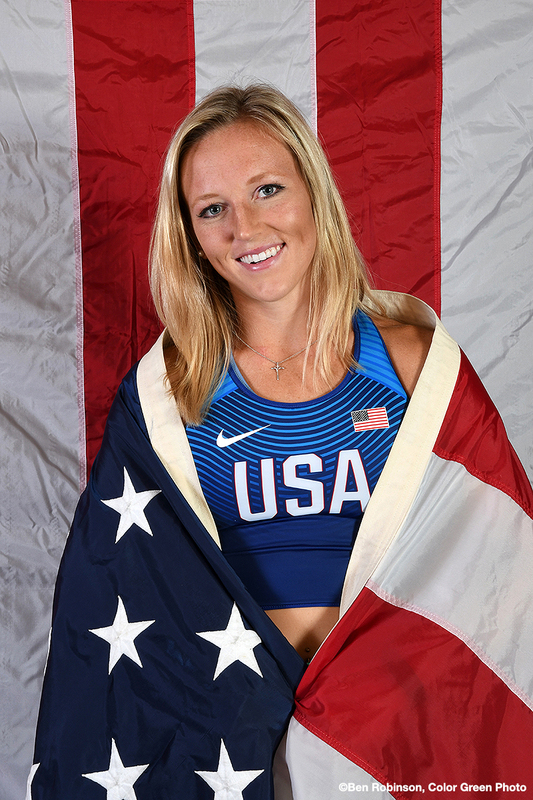 Jackie Siefring, a 2014 Covington High School graduate and junior standout at Akron University, visited the studio this morning so we could capture images of her in her Team USA track and field uniform to display at her alma mater. 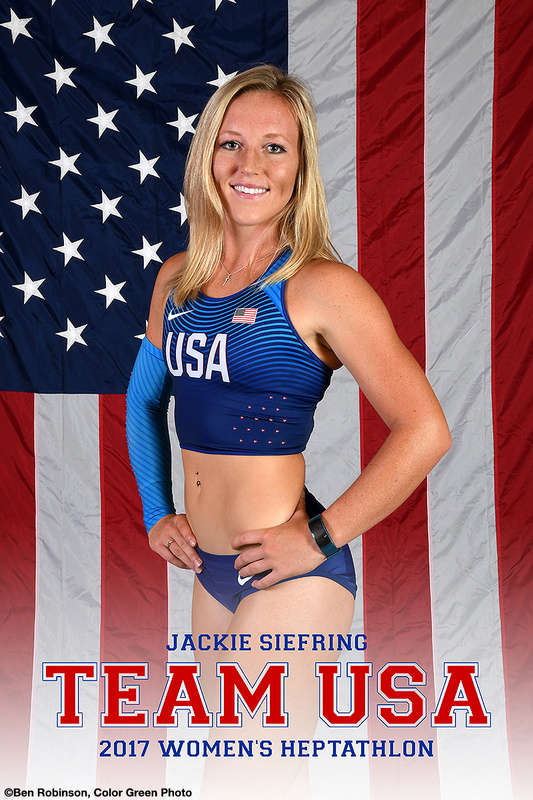 Siefring, who earned All-American status in the women’s heptathlon earlier this summer, qualified for Team USA at the USATF Outdoor National Championships in Sacramento, California in June. 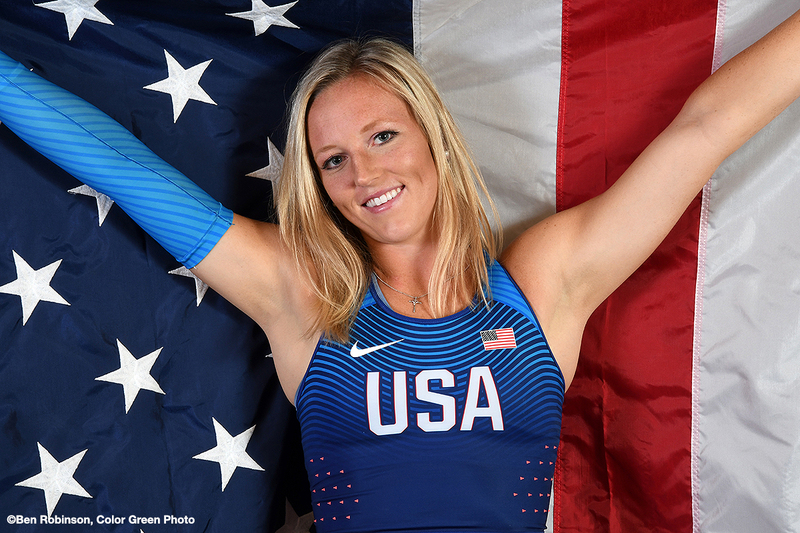 Recently, Siefring helped lead Team USA to a victory over Germany in the women’s heptathlon in the Thorpe Cup on Sunday in Dusseldorf, Germany. With Siefring’s help, the United States defeated the German squad by 1,181 points – 17,461 to 16,280. 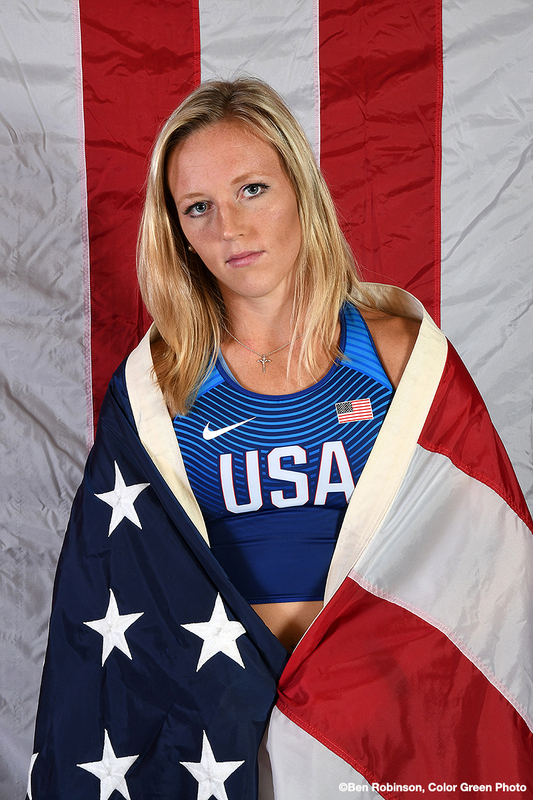 Siefring, who recently finished fifth in the heptathlon at the NCAA Championships and then 10th at the USATF Outdoor National Championships in July, was the lone collegiate competitor on Team USA – the rest being professionals. Still, the Akron All-American on the long jump with a distance of 19-11.75, placed third in the 800 meter run (2:14.92), fourth in the high jump (5-5), fifth in the shot put (39-5.25),7th in the 200 meter dash (25.41), 8th in the 100 meter hurdles (14.36), and 11th in the Javelin (111-9). Overall, Siefring finished seventh individually with 5,560 accumulated points.